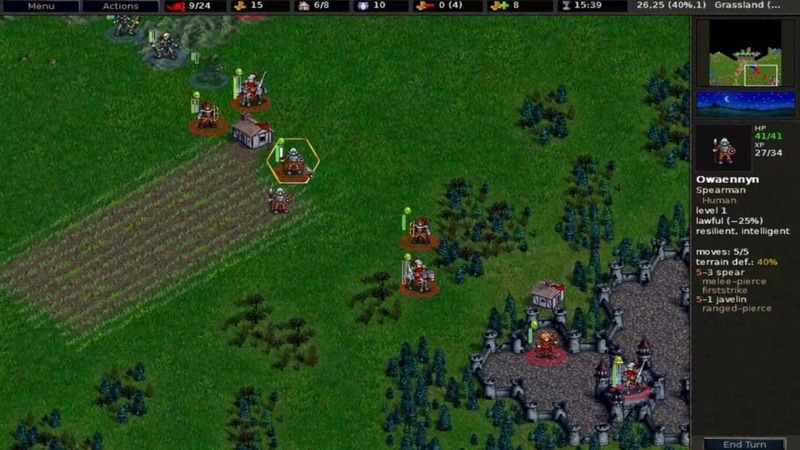 The Battle for Wesnoth is one of the most popular open source strategy games that you can play at this time. Not only has this game been in development for a very long time, but it has a stellar gameplay, lots of unique mechanics and it’s just a pleasure to explore the way you play it. There are lots of adventures to be had here, as well as plenty of enemies to battle and conquer! What should you know about The Battle for Wesnoth? This game has 3 areas, which include the northlands, the domain of the SouthWest Elves as well as the kingdom of Westnoth. Some regions like the kingdom are more civilized, while others like the northlands for example are full of orcs, barbarians and dwarves. As you play, you will be able to control various races and factions, but most of the time you get the ability to recruit units from other factions too. The campaign will most likely dictate what units you can recruit. What options do you have in the game? Right off the bat, as soon as you launch the game, you will have access to the tutorials. 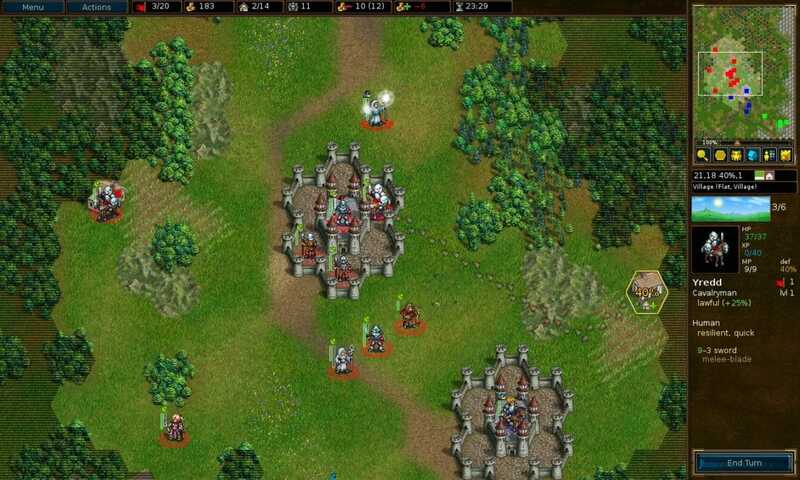 If you never played The Battle for Wesnoth, then this is the best place to start. It will let you know all the info you need about the game. Then you have the campaigns, which allow you to play a select set of scenarios and enjoy them. You are free to choose any difficulty level, usually it’s Easy, Medium or Hard. Sometimes, you will find some levels that have a Nightmare setting. Medium and Easy are perfect for beginners. The Battle for Wesnoth also allows you to play in multiplayer. This means you enjoy the experience while fighting with or against other people. It’s mostly suitable for those persons that already finished the campaign or which did play quite a lot of this game. The game allows you to play separately, aside from the main missions and campaigns. If you want to do that, you will be able to face AI enemies that are ready to take you down. This is a nice experience to have, and it allows you to further explore your strategies. Again, you are free to select the desired difficulty level, according to your own skill. Most of the time, the simplest one will be the best as a whole. One of the things that you will love in The Battle for Wesnoth is that it offers you all the information you want right form the main interface. On the upper side of your screen, you get the menu button, the action button and the turn counter. It allows you to access all the visuals and features you want, but at the same time you can also opt for specific actions if you so desire. Then you have access to resources, which you can use to buildup your city and create an army. Obviously, you do need to keep an eye on your gold and your housing. You also need to be certain that you don’t get over the highest troop amount, as that can be troublesome too. The idea here is to adapt to the situation as much as you can, in order to reach the very best experience. You can recruit a unit as soon as you start the game. You can see your location on the map in the bottom right of the screen. 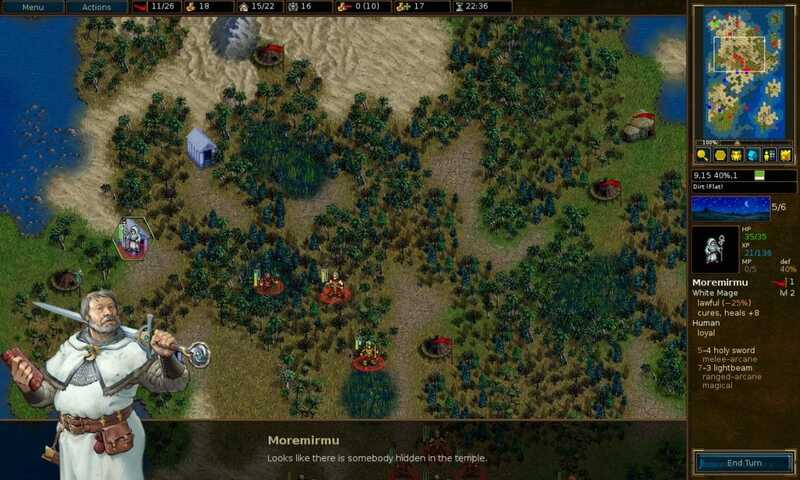 Make sure that you recruit units often, because the more you have, the higher the chances of defeating enemies. There are more than 17 campaigns to play through and new ones are added all the time. Then you also have scenarios that you can go through. Regardless of what mission you play, the idea here is that you do need as much gold as you can. Villages will give you 2 gold each, and you can also acquire some gold from battles. Try to play the best way you can and then you can acquire some really nice results as a whole. The game plays mostly with the mouse, since you can left click to select or move an unit, the right click to access the context menu or cancel an action and you can also do a middle click in order to center on the pointer location. But you can also use CTRL and S to save the game, CTRL+O loads a game and you can zoom in or out the best way you can via the + and – keys. Make sure that you avoid wasting units. Instead of sending units to sure death, bring them back to your base. See the amount of moves your enemies can do and try to protect wounded units. This is very helpful if you want to protect your units against a potentially massive attack. Always focus on keeping a defensive line. Defense matters a lot in this game, and you have to focus on it in order to maintain the best results. Rotate troops when you have any other wounded troops behind them. This will help you cover the line. It’s a good idea to use this especially against archers. Choose the right targets, some troops are going to kill enemies faster. And while there, use the terrain to your advantage to get some great results as a whole. Some units like humans fight better during the day. Others are better during the night, especially the Chaos units. Use this info to your advantage. Level up your units, as some of the campaign maps assume that you already have units which leveled up adequately. One thing is certain, playing The Battle for Wesnoth can be incredibly fun and at the same time it does test your strategic approach and tactical abilities. But the fact that this game runs flawlessly on Linux and you can play it free of charge is a very enticing thing to have. It really goes to show that the game is a delightful time for all strategy lovers. If you always wanted to play a great strategy game with tons of tactics and great gameplay, this is the one for you!